With more than seven million visitors in its 166 days of operation this season, the footfall to the multicultural park saw a 16 per cent jump over the previous season. 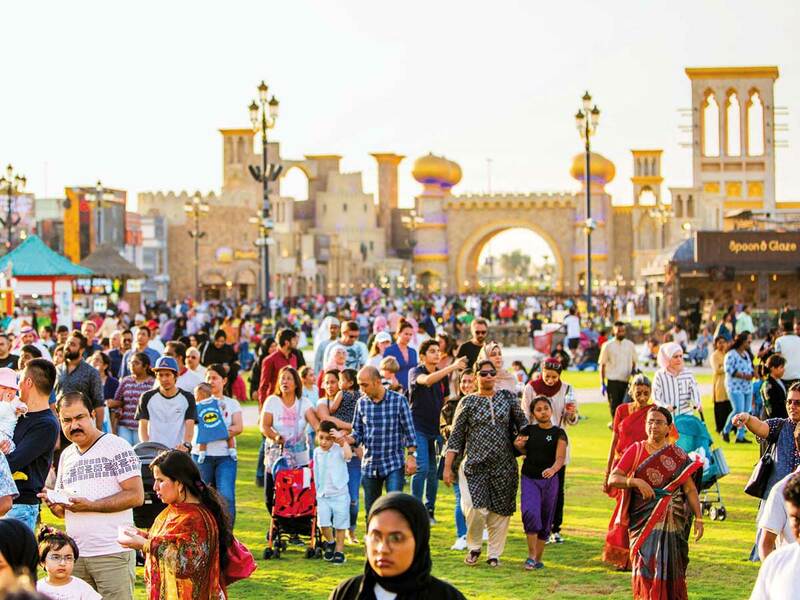 According to the Global Village management, the family entertainment and shopping destination, closed Season 23 completing more than Dh3 billion worth of business transactions, after hosting more than 3,500 outlets showcasing cultures of 78 countries, all catered to with a combined staff of more than 10,000 partners and employees from 95 nationalities. In a series of firsts, Global Village became the world’s first entertainment destination to achieve the five star grading upon completing the prestigious best practice Five Star Occupational Health and Safety Audit conducted by the British Safety Council. For Season 23, Global Village brought in a series of innovations. It hosted the world’s first multi-cultural floating market, bringing popular cuisine through 38 outlets from boats, bank-side kiosks, and Tuk-Tuks. Other firsts include its dancing fountains with light and sound shows on the largest underwater screen; the all new ‘Wheel of World’ of 60-metre height, with an enormous 50-meter LED screen; an interactive Kids’ Theatre that hosted a variety of events and workshops for children; the Super Loop stunt show, a full-scale stunt show featuring breathtaking performances by more than 30 professional stunt performers; the ‘Live our Heritage’ festival, featuring the best of Emirati culture and craftsmanship hosted by Dubai Culture; and eight new flat bridges that replicated the most famous architectural icons in the world.